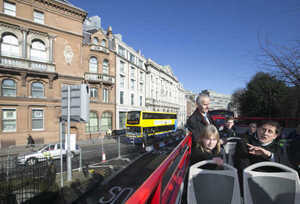 Green Party leader Eamon Ryan unveils his party’s transport plans for general Election 2016 aboard a double decker bus. Two-thirds of all capital investment in transport would go towards buses, cycling and walking infrastructure and one-third for roads (a reversal of the Government’s current transport policies). Spending €582m on three bus rapid transport (BRT) routes in the city – Blanchardstown to UCD, Clongriffin to Tallaght and Swords to the city centre. 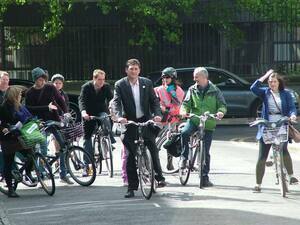 10pc of all trips in the city to be made by bike, and proposes measures to attract students onto public transport. Students will be able to avail of the same rates for weekly, monthly and annual tickets as are currently offered to employees under the Taxsaver scheme. 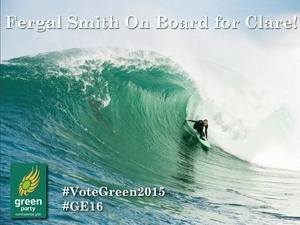 Posted in Misc and tagged Green Party at 3:47 pm on February 10, 2016 by Broadsheet. No mention of prioritising Metro North or the Dart interconnector. Why does no party ever have any ambition when it comes to transport in the capital city? Either project would be a real boost to the economy and would be a crucial investment for decades to come. I think it’s one of those things you don’t highlight too much in the manifesto, because it raises the ire of NIMBYs and moaners, but you actually do it in government. Everyone’s opposed to major transport changes until they come in, and then they can’t live without them. Except that every party does live without them. 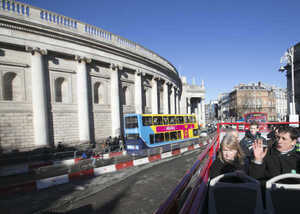 Dublin’s infrastructure is in dire need of investment. dead even before starting this lot. This has to be, without doubt, the very, very, very best accusation of some sort of cronyism in Irish politics, ever. Bonkers talk. A recent study in London suggested eliminating large diesel engines altogether from congested built up areas. Electrification via trains, trams or undergrounds are the only way to mass mobilise people going to work. way outta date. Bus rapid transit? There is no immediate replacement for buses in the short to medium term. And buses can be electric or at least hybrid. Diesel engine buses are not a good idea but if we could have hybrid or cleaner tech buses than the whole plan would make sense. Still a better plan than the rest of the parties though. When you consider what’s going on in the country (not just the M50/Dublin) this is what they expect to lure the vote? Do you not think climate change is important? I mean, even more important than our economic woes? Only if you live in one of the newly sub-aquatic towns like Athlone or Bandon presumably. What is going on in the country? And their policies on health, housing, education, jobs, social welfare, foreign policy are what now? Here you go, hope this helps….. Think they launched their health one about 2 weeks ago. 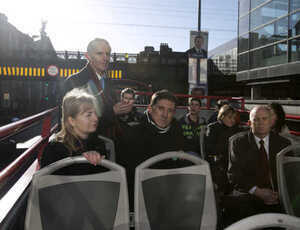 Did you miss the bit where this was the launch of their transport policy? As others have shown, the other policies weren’t very hard to find. You have to share public transport with the great unwashed. That alienates most decent car owners. Cars smell worse than people. uses the LUAS accompnied by his Hat.